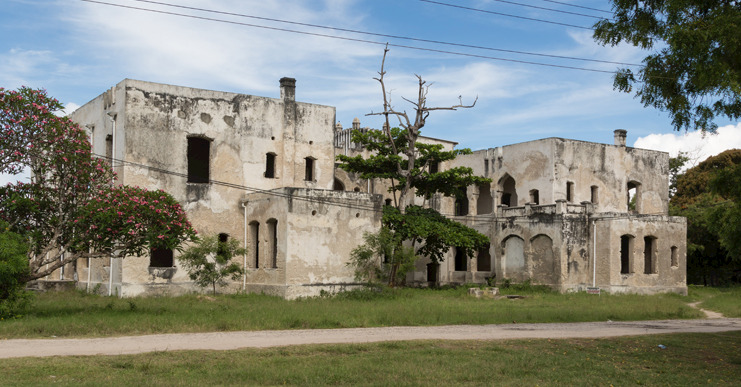 Located 75 miles north of Dar Es Salaam, visit the Bagamoyo Salve Market Ruins and explore this historic landmark that was one of the most active points of the bustling Tanzanian slave trade. Formerly a fishing village, the area has been home to Indian and Arab traders, the German colonial government, and Christian missionaries during its storied history. Once an active slave trading outpost and ivory and coconut trading port, Bagamoyo, Tanzania is now home to a landmark church, a German graveyard, a history museum, and a thriving sailboat industry. Guided tours are recommended for an authentic glimpse into this ancient East African trade port with a unique Swahili culture.